How will the gender pay gap affect me in retirement? You’ve probably heard of the gender pay gap. But did you know that the gender gap worsens in retirement? It’s called the gender superannuation gap, and it currently affects nearly half of all retired women in Australia. What is the gender superannuation gap? The current gender pay gap in Australia is 15.3% (as calculated by the Workplace Gender Equality Agency). It is a significant number, and when you drill down to the superannuation gap it is even worse. Women currently retire with an average of 47% less super than men. For the average super fund, that is $85,000 women are missing out on. Want to see what this looks like for you? Using our Women vs Men super comparison tool, you can preview the cost of this gap at any age, based on mean superannuation balances. This gap can drastically reduce the quality of life for older single women. In 2012, approximately 40% of single women in retirement were living in poverty, as well as having a higher dependency on the age pension than men. Sadly, the fastest growing group of homeless people is older single women. Why is the superannuation gap so large? For the last two decades, the gender pay gap has hovered between 15% and 19%. A lifetime of lower wages for women results in fewer and lower super contributions, plus they miss out on compounding returns. The money you save by making pre-tax contributions to your super, otherwise known as tax concessions, are structured unfairly. The top 20% of income earners receive the lion’s share of tax concessions. But the bottom 30% of income earners, who are mostly women, get next to nothing. Overall, women receive just a third of all government tax concessions. 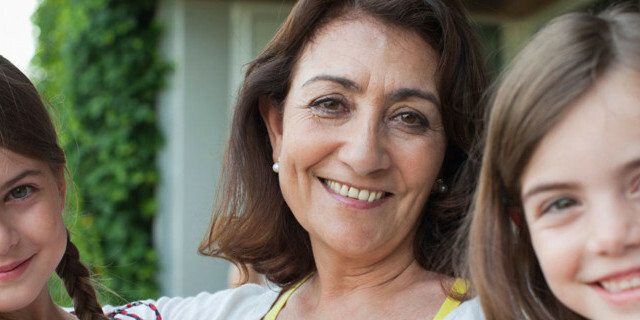 Women are more likely to pause their careers to become the primary carers for their family. By missing just five years of work from age 29 to 34, the average woman is estimated to miss out on almost $100,000 of their potential retirement savings. A majority of part-time and casual workers are women, leaving them with less hours to earn money and build super. Administrative, community services and sales roles are disproportionally filled by women, which tend to pay less than male-dominated occupations. Fewer women occupy senior executive and board level positions, which tend to be better paid. Women typically retire earlier than men, on average, yet live longer than men (for a female born today, that’s up to 4.4 years longer). What needs to be done to close the superannuation gap? One thing is clear: the onus shouldn’t be on women to fix the problem, especially when most don’t have the means to do so. Australian women need real change to occur. For that to happen, government intervention is required, and inaction only allows the gender superannuation gap to grow larger every year. Removing the rule that those earning less than $450 a month – who are mostly women – don’t get super. Start paying super on parental leave, like all other types of leave. Make sure there are no further delays in increasing employer super contributions to 12%. You can follow our campaign to close the gender superannuation gap on the Industry Super Australia website. Despite the gender super gap, there are steps you can take to boost your own your super so you’ll have more in retirement. Have a look at these super tips. Remember: the sooner you start, the more you’ll have. This article was first published in December 2017.The information referred to may change from the date of publication and care should be taken when relying on such information.